The fleet at Black Dog Farm was increased by one in the spring of 2010. 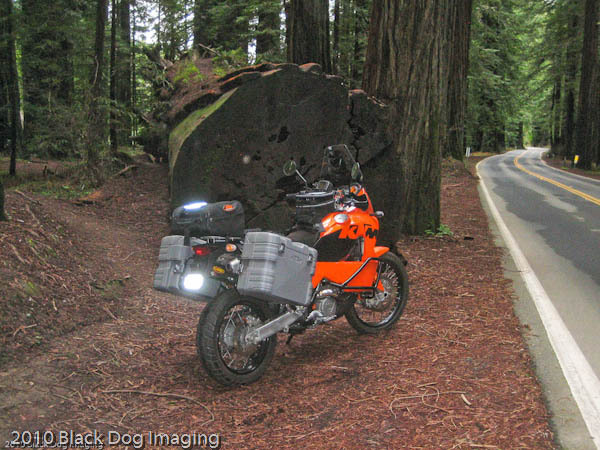 Jim bought this over the phone and final­ly got a weath­er win­dow to fly down to the San Fran­cis­co Bay area to pick it up and ride it home. 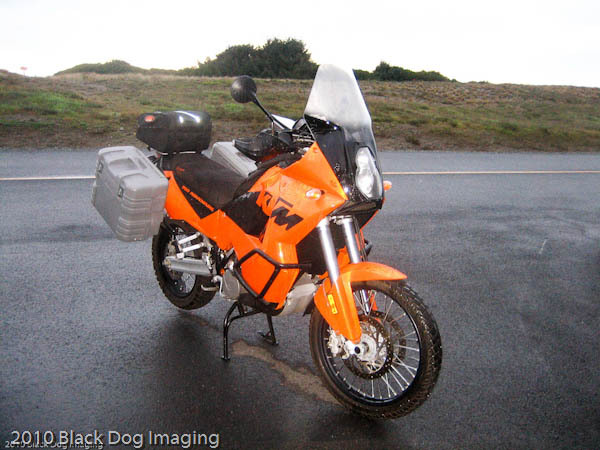 It is a 2006 KTM 950 Adven­ture. So far, it has proven a wor­thy and capa­ble trav­el­ing com­pan­ion, cov­er­ing near­ly 1000 miles in two days in com­fort and with style. It’s not a small machine as this com­pro with the sil­ver sedan shows. 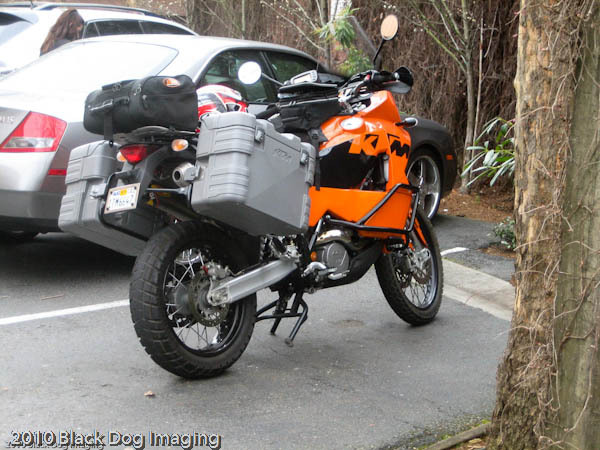 KTM next to a mid-size sedan. A taste of things to come. A road­side shot from the retrieval trip. The giraffe was Jim’s ride for his half cen­tu­ry walk-about in May of 2010. You can find details of his jour­ney on his blog Obser­va­tions.